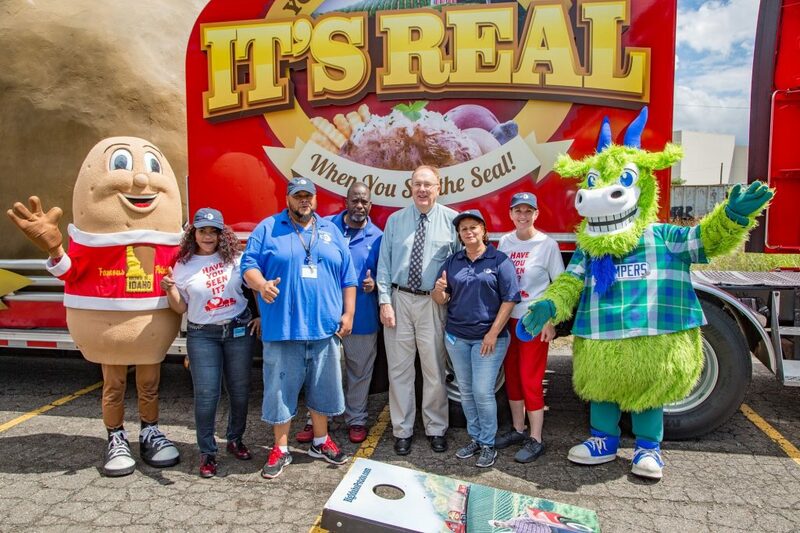 The World’s Largest Potato visited one of our newest clients, Community Renewal Team (CRT) on Wednesday, August 22, 2018 to benefit Meals on Wheels. CRT hosted the Big Idaho Potato Truck for a fun day to call attention to senior hunger. The 28-foot long, 12-foot wide, nearly 12-foot tall potato that weighs in at around 12,000 pounds visited Hartford this summer for this one-and-only stop in Connecticut. Everyone was invited to come see the world’s largest potato and support Meals on Wheels at the same time. The Big Idaho Potato is being carried coast to coast by the Idaho Potato Commission, and through their “A Big Helping” program, they agreed to support CRT’s Meals on Wheels program with this special appearance in Hartford. During the day, staff and visitors were able to get up close with the giant Potato, take some selfies, and grab lunch from one of four local food trucks: Bear’s Smokehouse BBQ, Criollisimo Restaurant, the Rolling Dish, and Hot Pizzazz Pizza. Maple Hills Farms brought the ice cream. Sonar, the mascot for the Wolf Pack will be there, as well as “Spuddy Buddy” – the mascot for the Big Idaho Potato. Visitors also had the opportunity to learn about CRT’s various programs and services for the community, including: Early Care and Education, YouthBuild, Meals on Wheels, SNAP Outreach and more. A potato that size would take over 10,000 years to grow! 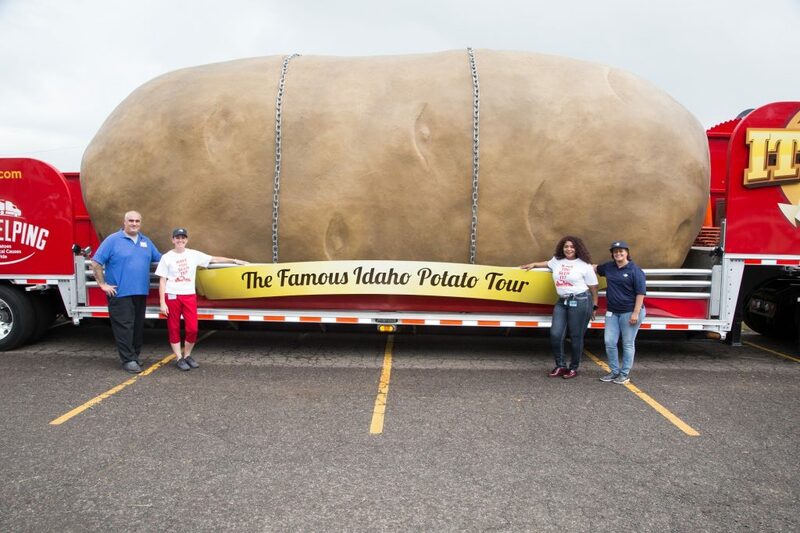 This special spud weighs six tons – it is equal to 21,562 medium-sized Idaho® potatoes. It is 802 times heavier than the largest potato ever grown, which weighed 11 pounds. It would take two years and nine months to bake, and would make 30,325 servings of mashed potatoes, or 1.4 million French fries!